It’s (almost officially) summertime. A time when you want to have different salad recipes to choose from for all of those parties, BBQs, picnics…if you’re like me, it’s all about variety! Don’t get me wrong…I love my MIL’s version, as well as my Mom’s…but this one hits the spot, too. This is a quick and easy potato salad that caters to the mustard lovers. I whipped it up last week with stuff I had on hand for a delicious BBQ side at home. Perfect for this weekend’s get together! Cook potatoes until slightly soft. Meanwhile, add remaining ingredients all together in a large bowl. Drain potatoes and let cool, and toss into large bowl with other ingredients. Refrigerate until ready to serve. 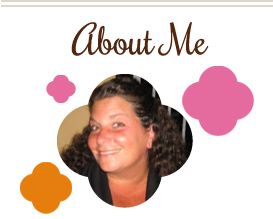 This entry was posted in potatoes, QuickAndEasy, salad, side dishes. Bookmark the permalink. Looks great! 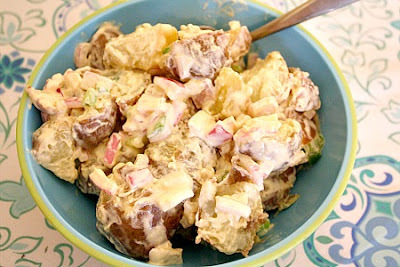 I don’t like the mayo potato salads but love ones with mustard-this looks great!